Are you hibernating under blankets and drinking tea/coffee/hot chocolate almost intravenously? 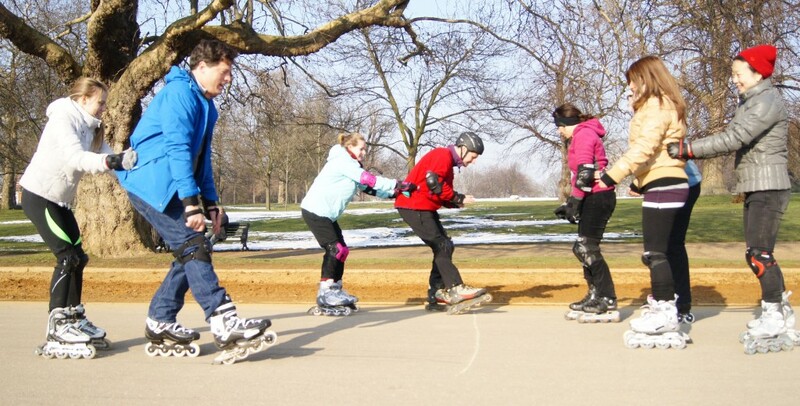 Winter is most definitely here, but there seems no better way of beating the winter blues than getting out into the fresh crisp air with a set of wheels on your feet! With this sense of adventure came a group of people to Skatefresh’s second fully booked Beginner’s class of 2012, with snow still on the ground. 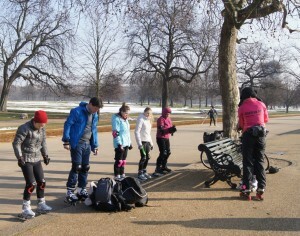 An enthusiastic instructor who will keep you moving and therefore help to keep yourself warm. Thermals (including thermal socks which Asha has just discovered). Thin gloves that fit under wrist guards. 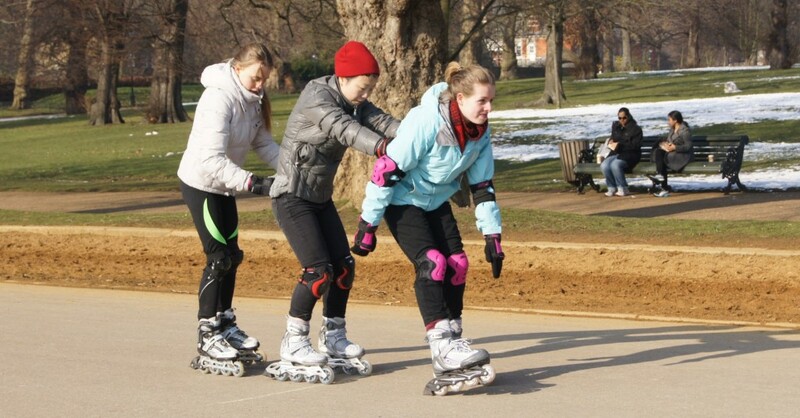 Winter is a wonderful time to skate in Hyde Park as the summer crowds of skaters are nowhere to be seen and the tarmac stretches out in front of you and you can gaze at the sky and the trees and the water (which would be highly dangerous if you tried to do this in summer on Serpentine Road). This space really aides your skating improvement because you have the ability to skate faster without the fear of hitting anything and you have however much space you need to stop. So, what are you waiting for? Skatefresh are here to get you started or to bring you back to your skate season earlier than ever before. 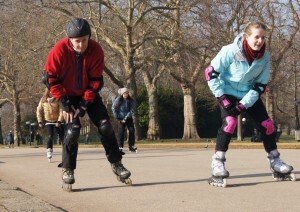 We have Improvers, Intermediates, street skating and Skate Dance as well as advanced workshops, all happening soon. Hope you can join us.